Pilot suicide has long been recognized as a potential danger in aviation, but medical and safety experts say they still lack reliable tools to identify or track aviators at greatest risk of hurting themselves or others. To be hired, commercial pilots typically must pass psychological screening, personality tests and physical examinations. But once they start flying passengers, the experts say, neither regulators nor carriers have dependable, scientifically tested methods to pinpoint suicide hazards unless individual pilots come forward voluntarily or exhibit obvious signs of mental disorders picked up by supervisors or fellow employees. As a general rule, "tests work to screen out people before they get the job, but the science isn't there yet to predict" suicidal personalities after that, according to Terry von Thaden, chief executive of Illumia, an advisory firm that assesses the corporate culture of airlines and other companies. "There simply aren't any good predictors." Investigators are examining the background, including mental-health issues, of Germanwings co-pilot Andreas Lubitz, who prosecutors believe intentionally flew an Airbus A320 into a French mountain range last week, killing himself and 149 others. Mr. Lubitz is suspected of withholding information from the airline about his mental condition and treatment. A German prosecutor Monday said he had undergone psychotherapy because of suicidal tendencies before obtaining his commercial-pilot license. In the U.S., each time someone seeks a medical certificate to start or continue flying, he or she must answer questions from the Federal Aviation Administration about health conditions ranging from fainting spells to diabetes to epilepsy. The form also asks about "mental disorders of any sort," and names depression, anxiety, substance dependence or abuse, and suicide attempts among other specific examples. In addition, pilots are required to list all health professionals they have seen for the past three years, by name, address, type of doctor and reason for the visit. Once pilots are hired, however, experts say periodic medical checks often have only a cursory focus on mental health issues and therefore generally aren't useful in predicting suicidal tendencies. Guohua Li, director of Columbia University's Center for Injury Epidemiology and Prevention, described current medical standards for airline pilots as "outdated, inadequate and inconsistent," especially regarding mental health assessment. "These standards need to be updated, strengthened and made internationally compatible." One complication experts cite: changes in employee-management relations at U.S. carriers, which now make it harder for senior supervisory pilots to be aware of personal, financial or psychological stresses that may particularly affect specific aviators. In the past, chief pilots at each employee base viewed a big part of their role helping to "manage, mentor and support their people," according to John Marshall, another consultant who previously ran the safety organizations at Delta Air Lines Inc.
As a result, chief pilots sometimes could offer counseling or support. "That function has kind of evaporated," Mr. Marshall said. A full-scale psychiatric assessment of every airline pilot each year, however, would be time consuming and put most pilots under unnecessary stress. 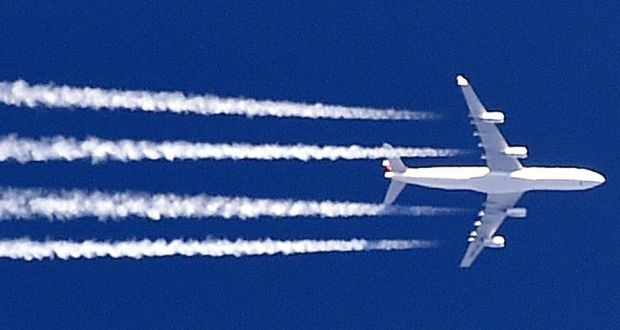 Extensive examinations needed to pick up suicidal tendencies could take several hours and "wouldn't make sense for the airline industry as a whole," said Rob Bor, a specialist in clinical aviation psychology in London. Predicting suicidal behavior becomes especially difficult if there are negative consequences for speaking up, such as airline pilots who almost certainly would be grounded if they acknowledged such thoughts, according to Dr. Matthew Nock, a Harvard University professor who studies this area. Previous history of psychiatric diagnosis isn't enough to judge current suicide risk, according to an FAA report on suicides by private pilots published last year. A pilot's current physical and mental state-including sleep pattern, mood, energy level and concentration-needs to be considered, according to the report. But according to experts, regular medical checkups for U.S. airline pilots on average last about half an hour, and physicians performing those federally-mandated exam often aren't trained and don't feel competent to delve deeply into mental health issues. Some large U.S. carriers, including Southwest Airlines Co., have contract provisions that allow the company to send pilots for additional physical or mental screenings if the situation warrants. And most airlines rely to some extent on the observations of other pilots and flight attendants about the stress level, flying performance or behavior of a pilot. Fellow aviators can make confidential safety reports, or, in the extreme, report the questionable behavior to their union safety officials or the company. Before the current debate over mental health issues affecting cockpit crews, some experts already were devising enhanced techniques to help physicians spot pilots with depression, anxiety or other disorders. The Aerospace Medical Association developed more-detailed assessment tools and posted them on its website, part of a campaign to shed light on psychological hazards the organization says have received short shrift from for FAA-designated medical examiners. Germany is setting up a task force to examine safety issues such as the cockpit door mechanism and medical testing for pilots in the wake of last week's Germanwings crash. Investigators believe co-pilot Andreas Lubitz locked his captain out of the Airbus A320's cockpit and intentionally crashed Flight 9525 from Barcelona to Dusseldorf into a mountainside on March 24, based on recordings from the plane's cockpit voice recorder. All 150 people aboard were killed. German transport minister Alexander Dobrindt today met the German Aviation Association, which represents German airlines, to discuss a response to the crash. He said they decided to set up a task force of experts to consider whether changes are needed to cockpit door mechanisms, or pilots' medical examinations or "psychological criteria and procedures". (Reuters) - A major sandstorm across the United Arab Emirates has disrupted air traffic at airports in Dubai on Thursday, according to authorities, while online flight data showed Abu Dhabi was also impacted by the bad weather. "Normal operations have been disrupted at Dubai International (DXB) and Al Maktoum International (DWC) due to bad weather across the GCC," Dubai Airports, which operates both airports in the emirate, said on its website. In a later emailed statement, Dubai Airports said delays were anticipated and it was working with all airlines to minimize disruption. Four incoming flights to DXB, the emirate's main airport, were diverted to neighboring airports and two flights had been rerouted to the airport from other unspecified destinations. Meanwhile, eight flights were diverted into DWC, Dubai's second airport which mainly handles cargo, from other regional airports, the company statement added. Many flights coming into Dubai from South Asia, Iran and the Gulf Cooperation Council (GCC) region -- which consists of Bahrain, Kuwait, Oman, Qatar, Saudi Arabia and the UAE -- have been delayed or canceled, according to the flight status page on Dubai Airports' website. Some outgoing flights for the afternoon and early evening have also been delayed or canceled, the site showed. Flights flying into Abu Dhabi International Airport from Dammam, Muscat, Bahrain, Ras Al Khaimah and Mumbai during the morning were either delayed or canceled, according to the flight status page on the airport's website. However, Abu Dhabi Airports Company, the operator of the airport, said in an emailed statement that "flight departure and landing are proceeding as normal with no delays or diversions to any of the scheduled flights from and to Abu Dhabi International Airport due to the sandstorm." It added a departure to Dammam in eastern Saudi Arabia and Bahrain from Abu Dhabi had been delayed but this was due to the bad weather conditions at those airports. Abu Dhabi-based Etihad Airways told Reuters that there was no impact on flights from the sandstorm. However, online flight information on delayed and canceled flights to Abu Dhabi airport included flights operated by Etihad. Emirates Airlines and Etihad Airways said Wednesday an investigation is underway after two of their planes apparently flew too close to each other, but that safety was never jeopardised. The incident took place on Sunday in Indian airspace between Emirates flight EK706, travelling from Seychelles to Dubai, and Etihad's EY622 heading to Seychelles. Emirates said its aircraft "was involved in an air traffic control incident in Mumbai airspace" but that, "at no point," were the aircraft, passengers or crew at risk. "All Emirates aircraft are equipped with onboard instrumentation so that crew are alerted in a timely manner of all surrounding traffic." Emirates said its flight 706 was returning to Dubai when what it called "an air traffic control incident" happened in airspace monitored by air traffic controllers in Mumbai, India. It said it informed authorities of the incident and later filed an air safety report that will be forwarded to investigators in the Indian city. "Safety is of paramount importance to Emirates, and we will be cooperating fully with Mumbai Air Traffic Control in the subsequent investigation," the carrier said in a statement. Etihad said the traffic collision avoidance system on its plane "ensured that safe vertical separation of both aircraft was maintained at all times." "Etihad Airways has strongly rejected claims that the safety of flight EY622, Abu Dhabi to the Seychelles, was compromised," a statement said. Neither airline said how close the two planes came to each other. Both said they were cooperating with aviation authorities investigating the incident. Due to the conflict in Yemen, Emirates and Etihad have reportedly changed their routes to the Seychelles by using airspace controlled by Muscat and Mumbai. Privacy advocates sued the Federal Aviation Administration for not addressing privacy issues in recent proposed rules for commercial drones, the latest dust-up over how to regulate unmanned aircraft as the devices become more prevalent in U.S. skies. The Electronic Privacy Information Center sued the FAA on Tuesday in the U.S. Court of Appeals for the D.C. Circuit in an effort to compel the agency to set privacy rules for commercial drones. EPIC says the FAA has failed to propose such rules, despite what it believes is a mandate from Congress to do so in a 2012 law. That law doesn't explicitly mention privacy as related to drones; it compels the FAA to develop a "comprehensive plan" to safely integrate drones into U.S. airspace. The FAA didn't immediately respond to a request seeking comment. 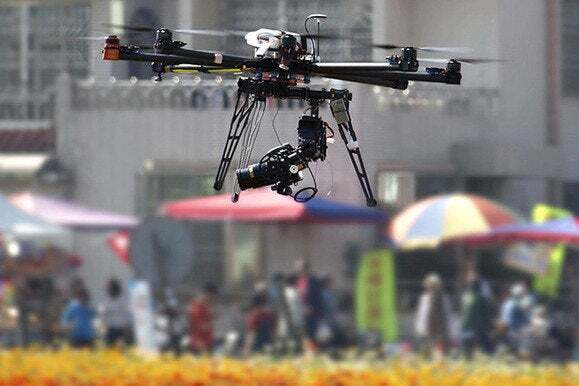 The FAA proposed rules in February that would authorize commercial drone flights as long as operators pass a written exam every two years and follow certain operational limits, including flying during daylight, below 500 feet and away from airports and most urban areas. In the proposal, the FAA said that privacy issues "are beyond the scope of this rule-making." Privacy has been one of the most vexing issues for regulators and drone makers since consumer drones became popular more than two years ago. Privacy advocates and some members of Congress have pushed for federal drone-privacy rules out of fear that camera-equipped drones enable users to easily spy on people, peering into windows and over fences. In February, President Barack Obama issued privacy rules for the federal use of drones in the U.S. He also ordered the Commerce Department to convene a stakeholder group to develop voluntary privacy guidelines for private and commercial drone users. The FAA said it would participate in that stakeholder process. Marc Rotenberg, EPIC's executive director, said such stakeholder processes "have never produced a meaningful privacy outcome," in part because their guidelines are voluntary. Some lawyers have said existing tort law and certain state laws are enough to protect U.S. citizens' privacy from drones. Mr. Rotenberg said those existing protections are "incomplete, incoherent, and give no guidance or direction." United 1188, a Boeing 757, landed without any incident around 12:20 p.m.
Two flights returned back to San Francisco International Airport shortly after taking off Wednesday, an airport duty manager said. United Airlines Flight 5064, operated by SkyWest Airlines, left SFO for Calgary, Canada, shortly before noon but returned back roughly 30 minutes later because of a report of a smoke smell in the cabin, duty manager Nancy Parker said. The flight landed safely and taxied to a gate on its own power, Parker said. An United Airlines flight that left San Francisco for Boston around 11:20 a.m. was diverted back to San Francisco International Airport Wednesday because of a medical emergency involving a flight attendant, the FAA said. 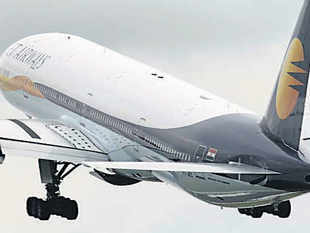 The Boeing 757-300 returned to the airport around 12:50 p.m.. The attendant was transported to a hospital but Parker did not know the person's condition. As the FAA continues to investigate the airline that left passengers stranded at the Sunport before the holidays, the 4 Investigates team uncovered a trail of records that detail a history of compliance issues. Most airplane passengers know flying can be stressful at times. Back in December, New Mexico Airlines passengers like Pat Jablonsky received a double dose. "At 71 you get a little stressed," she said. KOB found Jablonsky waiting for a flight to Carlsbad aboard New Mexico Airlines for more than a day. The airline had cancelled her flights. "I think this is an inappropriate way to treat a customer," she said at the time. Through a Freedom of Information request made in December, 4 Investigates learned the FAA had trouble locating maintenance and pilot records at the New Mexico Airlines office last August. The records must always be available for FAA inspection. One of the local FAA inspectors explained in a letter to the airline, in part, "There are several issues that need to be addressed, but the most important one that is a safety concern is whether your aircraft are airworthy." Upon further FAA inspection, the agency found some maintenance and pilot records were onsite while others were not. In particular, the FAA had concerns about one particular New Mexico Airlines aircraft. The agency was unable to locate inspection records for the plane's propeller. It also determined that the airline's maintenance tracking program contained inaccuracies, which may have resulted in the airlines overflying some of the plane's parts and not conducting proper inspections. The FAA's questions prompted New Mexico Airlines to indicate that some of the records may have been misplaced when it moved its company headquarters from Hawaii to New Mexico. Still, the airline launched a "comprehensive self-audit" to locate records and ensure that its "aircraft remain airworthy." Around the same time, in mid-August, New Mexico Airlines raised concerns to the FAA about comments some of the FAA inspectors were making to airline staff. KOB attempted to contact New Mexico Airlines numerous times on Tuesday to no avail -- in-person at the company's office at the Sunport and over the phone. Through the documents reviewed, however, it's evident the airline located the records the FAA initially could not find -- before the planes were grounded in December. It remains unclear why the planes were grounded. An FAA spokesperson said the agency withheld records from KOB as it continues its investigation. It's unclear when the investigation will end. Though New Mexico Airlines restarted service to Carlsbad, KOB learned passenger numbers are sometimes as low as one passenger per flight. KOB also learned the airline has, at the moment, four pilots on staff. Victoria - Just over week after the Germanwings air tragedy that claimed the lives of all 150 people on board, Air Seychelles has confirmed to SNA that it has decided to adopt a 'rule of two' policy to ensure passenger and crew safety. Under the rules, a flight attendant must stand in each time the pilot or co-pilot leaves the cockpit. Airlines in countries around the world, including France, Canada, Australia and the United Arab Emirates began to adopt the safety measure after evidence emerged that the Germanwings Flight 4U9525 co-pilot Andreas Lubitz had intentionally crashed the plane into the French Alps while the pilot had been out of the cockpit. 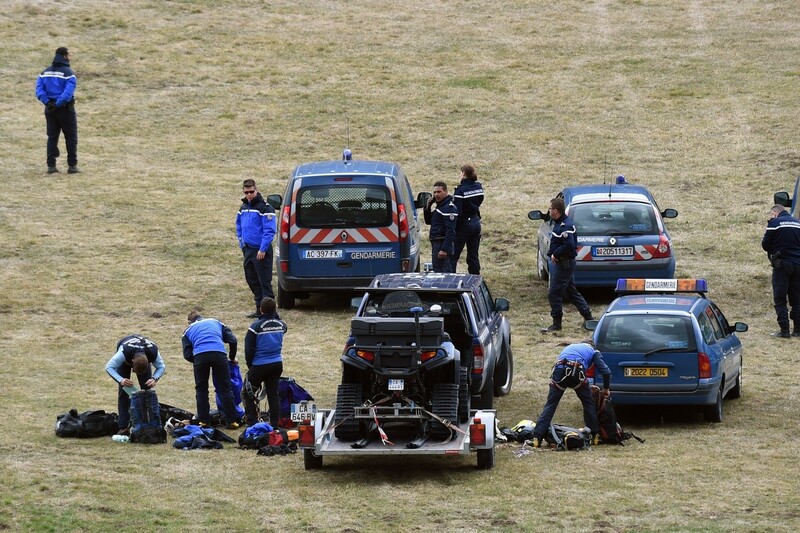 The Germanwings crash appears to have been a case of suicide and mass killing, according to French investigators. The 'rule of two' had already been implemented in the United States before the Germanwings crash. 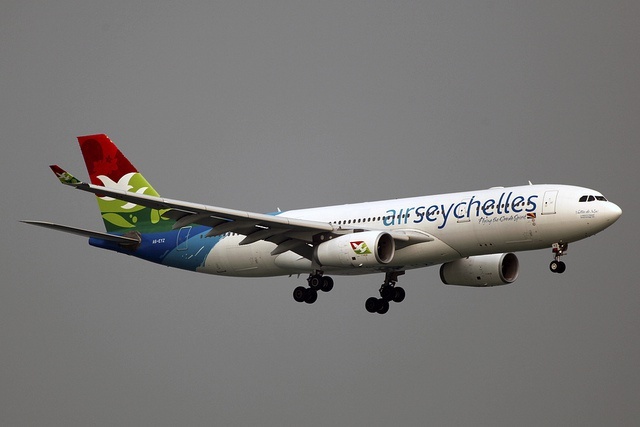 A spokesperson for Air Seychelles, the national airline of the 115-island Indian Ocean archipelago of Seychelles, confirmed the policy's immediate implementation to SNA via email on Wednesday. "We have reviewed our operating procedures following the tragic incident in France," said the spokesperson. "With immediate effect we will ensure that there are always two crew members in the flight deck at all times, on all flights." "Safety is Air Seychelles' number one policy," he concluded. Etihad Airways, which is Air Seychelles' Abu Dhabi-based strategic partner, made a similar announcement to AFP on Monday. The International Air Transport Association, IATA, also told AFP that safety remained the top priority of everyone involved in the aviation industry. "People should be reassured that flying remains the safest way to travel. Any accident is one too many. People can take further confidence in the well-established and constant determination of the aviation industry and governments to make this safe industry even safer," said IATA's Director General and CEO, Tony Tyler. Robert Klitzman is a professor of psychiatry and director of the Masters of Bioethics Program at Columbia University. He is author of "Am I My Genes? : Confronting Fate and Family Secrets in the Age of Genetic Testing" and the forthcoming book, "The Ethics Police? : The Struggle to Make Human Research Safe." The opinions expressed in this commentary are solely those of the author. (CNN)"A pilot called me last week, concerned he might have Marfan syndome," a health care provider told me recently at a meeting. "But if I find he has the disease, do I have to report him to the Federal Aviation Administration? And if so, should I call him first and tell him that? Would he lose his job?" She was totally unsure what to do. Several other providers were present, and none of them knew, either. "You should definitely call him and tell him," a health care lawyer, who was present, said. "You have to provide full disclosure." "But presumably, he knows that you might do so," I said. "And if you told him, he might not come in for the check-up." Marfan syndrome affects connective tissue and can lead to sudden tears in the aortic artery, causing sudden death. Yet if treated, it poses much less risk, though not necessarily zero. The case raised several specific quandaries about what the responsibilities of medical professionals are and should be -- legally or ethically -- in evaluating pilots. The FAA requires that pilots self-report any diagnoses. But health care professionals have no obligation to notify anyone. They may know that a pilot has a medical problem that is poorly or not treated and may endanger passengers, but these providers have no obligation to do anything about it. These issues are crucial, given that Andreas Lubitz deliberately crashed the Germanwings Flight 9525, killing 150 passengers. We still don't know why he committed suicide-murder, but the latest reports indicate he was treated for suicidal tendencies before getting his pilot license. The Germanwings disaster has demonstrated that current standards of medical and psychiatric evaluation are inadequate. The FAA requires only that pilots fill out a psychological questionnaire, asking whether they have had psychological symptoms. But pilots are not assessed in person by a psychiatrist. Such face-to-face assessments can provide crucial information that self-report forms might miss, partly because pilots might answer inaccurately. Moreover, the FAA requires only that 25% of pilots have a single random drug screen per year. Pilots may pass drug tests in January and realize that the odds of undergoing subsequent tests that year are nil. They may hence use more alcohol and recreational drugs. We need to consider changing current policies. Some alterations are relatively easy. The FAA should consider requiring far more drug testing -- for all pilots, perhaps every few days. Other possible reforms pose difficult ethical dilemmas, and thus need broad, careful discussion -- e.g., what role providers should play and how much privacy pilots should have. Medical exams and records over time can indicate key problems that a single visit to an FAA doctor may miss. But requiring more information from pilots diminishes their rights to privacy. Indeed, such rights impeded investigators from knowing initially the reason Lubitz took a six-month leave and the nature of his medical condition. Physicians have to break patient confidentiality when third parties may be endangered. The legal precedent for breaking patient confidentiality in this way is the so-called Tarasoff case, in which a young patient told his psychologist at the University of California at Berkeley that he wanted to kill his girlfriend, Tatiana Tarasoff. The psychologist alerted the campus police, though not the city police or Tarasoff. Unfortunately, the patient then killed Tarasoff. A court found the psychologist liable. These violations of patient confidentiality make us providers uncomfortable. As a physician, I have had to report patients whom I even suspected might be abusing a child. I remember one patient who came to the emergency room for psychiatric problems mentioning that she sometimes hit her toddler son with the end of an electrical cord, swinging it until the thick part banged him. As I asked more, she began to cry. I felt terrible for her and was unsure how dangerous her actions were, but I erred on the side of protecting the child's safety and contacted social services. When I told her, she nodded, then whispered thank you. She knew she needed help. Still, in Germany and several states, providers do not have to break patient confidentiality, even when they think the patient may endanger others. Critical dilemmas arise, though, of what threshold should be used concerning which diagnoses and how much their successful treatment should matter. Some diagnoses may be treatable and thus permissible if doctors examine the pilot more frequently than once a year. Early in the HIV epidemic, for instance, some critics argued that HIV-infected pilots should be barred from flying, since the virus could cause neurological problems. Fortunately, the FAA decided that evidence of actual neurological deficits -- not infection alone -- should ground these employees. Physicians arguably should consider reporting pilots who have, for instance, epilepsy, manic-depression or diabetes that leads to coma if these conditions are not well controlled with medications. Yet stigma can make pilots fear job loss and thus hide diagnoses and not seek treatment. The FAA could require that pilots seek treatment in order to fly, but some pilots may still simply cover up problems. Ideally, the clinician should be able to talk with the pilot about the need not to fly and arrange a leave for a few months to improve treatment. Good employee assistance programs and trust are also needed. In addition, we need research to find how much physician reporting would reduce risks or lead pilots to camouflage problems. Questions still arise of whether even the suspicion of a problem that could impede function should warrant reporting. An individual may seem fine weeks or even days before becoming seriously depressed. Careful, transparent discussion, involving medical experts, pilots, policymakers and others, to establish policies with clearly established cutoffs are thus vital. Unfortunately, suicides, for instance, are impossible to predict. But much can be done to improve the current system. NEW DELHI: As global attention focuses on pilot fitness, the Directorate General of Civil Aviation has detected a fresh list of pilots in Jet AirwaysBSE 0.14 % who had flown without clearing the mandatory pilots' proficiency check or PPC, a finding that the airline rejected, stating that it is fully compliant with the norms. Jet Airways said that the airline has replied to the DGCA on the matter and that all its pilots "are now compliant with the current PPC cycles." This is the second time in six months that the aviation regulator has found Jet pilots flying without clearing the mandatory test. The DGCA had identified over 131 such pilots in September and found 12 more last month. It had issued show cause notices to the Jet Airways pilots in September for flying without clearing the mandatory bi-annual exam. The DGCA sent a showcause notice to Jet Airways on March 16, stating that 12 of its pilots had undertaken flying duties after the validity of ..
SEOUL - The South Korean military preliminarily selected Korea Aerospace Industries on Monday as a partner in its $7.7 billion project to develop its own advanced jet fighter with technological help from the American military contractor Lockheed Martin. 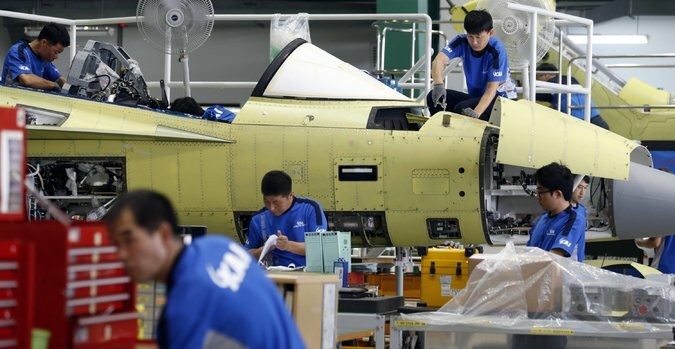 Korea Aerospace Industries, based in Sacheon on the country's south coast, and Korean Air were the only companies vying for what has been billed as South Korea's biggest arms procurement project. Under the so-called KF-X program, the country plans to spend 9.6 trillion won, or $8.7 billion, in addition to development costs, to deploy 120 twin-engine fighters, by 2032. South Korea wants to use the sizable demand for fighter jets by its military to build a domestic aerospace industry and eventually break into the international market, experts say. "It's too big a risk for South Korea to try to break into the commercial aerospace market first, given the small demand at home and entry barriers abroad," said Cho Jin-soo, a professor at Hangyang University in Seoul, who served as an adviser for the South Korean Air Force with the KF-X program. "Thankfully, the South Korean military creates a domestic market that is just enough to help a domestic developer break even. There aren't many countries in the world the size of South Korea that demand as many military jets as it does." Korea Aerospace Industries had been widely expected to win the deal because it is the only domestic company that has designed, built and exported a jet plane, the T-50 trainer. In a news release Monday, the Defense Acquisition Program Administration said it would nail down prices and other details with the company before formally selecting it as the KF-X partner by the end of June. In September, South Korea agreed to buy 40 F-35A fighter jets from Lockheed Martin, paying an estimated $115 million per aircraft. As part of the deal, Lockheed agreed to transfer key technology to help the KF-X program. South Korea relies heavily on the United States, its traditional ally, for military planes and other weapons needed to guard against North Korea. But it has long aspired to build its own fighter aircraft to cut the high costs and difficulties of maintaining American hardware; the military has complained that jets have been grounded for days because parts have been delayed. In building a domestic industry with the project, South Korea is deploying a strategy it has used to expand its export industries in shipbuilding, car manufacturing and electronics: first acquiring technological knowledge from foreign partners, then reworking or improving on the technology. With its KF-X project, South Korea plans to develop a fighter similar to Lockheed's F-16 Fighting Falcon, but with twin engines, improved radar and other combat capabilities. The first flight is planned for 2025. Korea Aerospace Industries is now exporting the T-50, a supersonic trainer jet that it developed jointly with Lockheed, to Indonesia and Iraq. It also has a deal to export the FA-50, a lightweight fighter based on the T-50, to the Philippines and has sold some to the South Korean Air Force. The acquisition agency also said Monday that it had chosen the American military contractor Raytheon to improve its Patriot missile defense system and that it would buy an undisclosed number of Patriot Advanced Capability-3, or PAC-3, missiles from the United States. The improvement was necessary to protect South Korea from North Korea's growing threats from nuclear weapons and ballistic missiles, the agency said. Separately, the United States military wants to deploy an advanced missile defense system called Terminal High Altitude Area Defense in South Korea. Seoul has said it has no intention of buying the system, even if Washington wants to deploy it as part of its military presence in South Korea. An earlier version of this article misstated when 120 KF-X fighter jets would be deployed. The jets will be deployed by 2032, not starting in 2032. A federal judge ordered pilots at Allegiant Travel Co. to halt a planned strike, a last-minute court decision to prevent spiraling labor discord at the discount carrier from disrupting thousands of travelers. 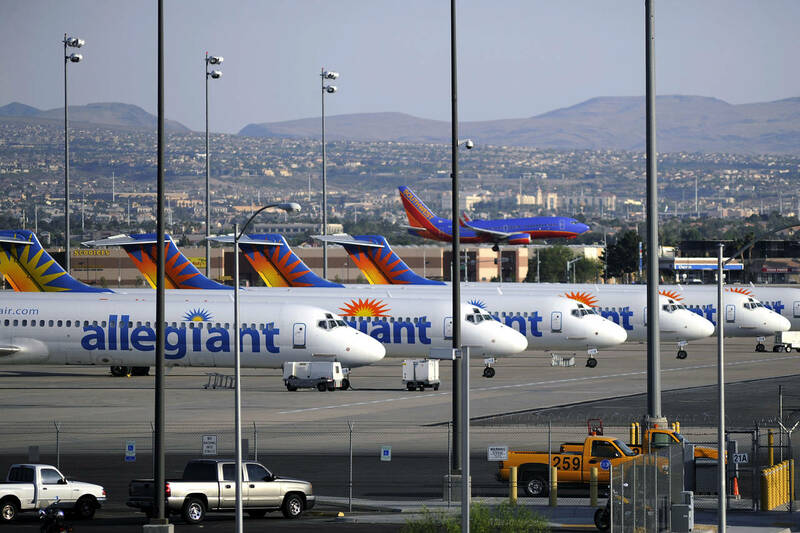 Judge Gloria Navarro of the U.S. District Court in Nevada on Wednesday approved Allegiant's request for a temporary restraining order against the Allegiant pilots' union's plans to strike on Thursday. The judge agreed with Allegiant that the strike would likely prove to be illegal and that it would cause irreparable harm to the discount carrier. Allegiant, which has a $3.4 billion market capitalization and operates about 175 flights a day, said in court documents that the strike would cost it more than $7.7 million a day. The pilots union, the International Brotherhood of Teamsters Local 1224, said after the judge's order that "although we know that our strike ... is legal, we will comply with the judge's decision and look forward to having our voices heard" at an upcoming hearing with airline management and federal mediators. The union had said earlier Wednesday that the planned strike would continue until the airline reinstates past labor terms. Allegiant said it "has every reason to believe that the Teamsters will honor the court's instructions and will not be able to continue with their illegal intention to strike.... All scheduled Allegiant flights are expected to operate normally." Las Vegas-based Allegiant, which accounts for 1.2% of the 76.6 million domestic U.S. airline seats scheduled this month, specializes in ferrying leisure travelers from small and midsize cities to tourist hot spots such as Las Vegas, Phoenix, Ariz., and Fort Lauderdale, Fla. The strike would have been the first pilot strike at a U.S. passenger airline since Spirit Airlines Inc.'s aviators grounded the discounter's flights for nearly a week in June 2010. If airline employees strike against the orders of a judge, they could have to reimburse the airline for millions of dollars in lost revenue. In 1999, a federal judge ordered American Airlines pilots to pay the company $45.5 million for failing to end a so-called sick-out. The airline later forgave the union for part of the fine, according to news reports at the time. The union said before the judge's order that it has legal authority to strike because Allegiant hasn't complied with a recent federal court decision ordering the company to reinstate previous working terms. Union president Daniel Wells said the union sued Allegiant in 2013 in federal court for unilaterally rolling back work rules and benefits in the pilots contract without negotiations. Mr. Wells said Allegiant halted a disability program for pilots and overhauled their scheduling system in a way that "completely changes their schedules and their quality of life." Last July, a federal judge gave Allegiant 90 days to effectively reinstate many of the labor terms it changed. Allegiant, which has appealed that order, hasn't reinstated the terms, Mr. Wells said. Mr. Wells also said the Railway Labor Act, which governs relations between airlines and labor, allows employees to strike when an airline improperly changes their contract. April Dawson, a spokeswoman for the National Mediation Board, a federal agency that oversees airline labor relations, said she believes the Allegiant pilots aren't legally authorized to strike under the Railway Labor Act. The Allegiant pilots haven't completed a lengthy process required before they can strike, she said, including a 30-day cooling-off period after federal mediators declare talks at an impasse. She said the board is still mediating talks between Allegiant and its pilots. Allegiant's business model relies on so-called ultra-low costs, which it achieves in part by packing seats onto old aircraft that aren't very expensive. Although Allegiant has one of the highest customer-complaint rates in the industry, the strategy works: Allegiant also has one of the industry's highest profit margins. Its stock price fell 6.6% Wednesday in response to the planned strike, but it's still up 65.6% over the past year. Women who flew military aircraft in World War II will be celebrated Saturday in a library program. Betty Darst, vice president of the National Aviation Hall of Fame, will speak at 2 p.m. Saturday in the Preble County District Library's Preble County Room. It's located in the Library Administration and Resource Center at 450 S. Barron St. in Eaton, Ohio. The program features the 1,074 Women Airforce Service Pilots who flew more than 60 million miles during the war. In 1943, the Army Air Force combined the Women's Auxiliary Ferrying Squadron (WAFS) and the Women's Flying Training Detachment (WFTD) into the WASP. The WASP organization ferried fighters and bombers and flew 77 different aircraft, including the B-17 Flying Fortress and the B-29 Superfortress. Darst will highlight the women she knows today, including those at Lockbourna Base in Columbus, Ohio. She currently works with the WASPs in mentoring programs for young women. The event is sponsored by the Preble County Room and the Preble County Genealogical Society and it's a part of Ohio Humanities. It has often happened that an instrument designed for one purpose has proved invaluable for another. Galileo observed the regular swinging of a pendulum; Christiaan Huygens later derived a mathematical formula for its period of oscillation and used a pendulum to develop the first precision timepiece. Later, a pendulum was used by Maupertuis to measure the strength of the Earth's gravitational attraction and thus to determine the shape of the Earth. A recent example of unexpected utility is the meteorological application of transponders developed for air-traffic management. Accurate wind information for the upper atmosphere is a key requirement for weather prediction. Currently, most wind data comes from weather balloons, wind profilers, Doppler radars and satellites. Mode-S EHS, a novel source of wind data from aircraft flight levels, is helping us to make more accurate weather forecasts. Under European regulations, all large aircraft must carry Mode-S EHS- enhanced surveillance navigation apparatus. Aircraft equipped with EHS transponders are interrogated every four seconds by ground-based radar and, in response, send information on position, flight level, magnetic heading, air speed and ground speed. Air-traffic control monitors this data to ensure efficient and safe operations. How does this yield wind data? Suppose a plane is heading eastwards at 200m per second. Its position is known accurately by the satellite-based global positioning system or GPS. Four seconds later, it should be 800m east of its initial position. But suppose there is a wind of 50m per second from the southeast. This will slow the plane and cause it to drift to the north. The GPS location shows precisely where the plane has gone in four seconds and determines the ground speed. Since ground speed (G) is the vector sum of air speed (A) and wind speed (W), a simple vector calculation gives us the wind. What a delightfully simple application of vectors; what a shame that vectors have been dropped from Leaving Cert maths. In practice, further adjustments are required to produce high-quality wind estimates. With these corrections and calibrations, Mode-S EHS winds are of a level of accuracy comparable to conventional wind observations. Since air traffic for Europe is planned and co-ordinated by Eurocontrol, the novel wind vectors are potentially available throughout the European region. Currently the coverage includes UK, Benelux and Germany, and more countries are expected to implement EHS radar systems soon. Met �ireann acquires Mode-S data using a receiver in Valentia Observatory and is exploring its value in the Harmonie forecasting model. Siebren de Haan, a senior scientist at the Royal Dutch Meteorological Institute, has examined the impact of the new observations on forecast accuracy and has found that Mode-S EHS observations are beneficial for short-range wind forecasts. This facilitates air-traffic management and leads to greater fuel efficiency. In addition to wind vectors, the Mode-S EHS data can be used to deduce air temperature data. Temperature is proportional to the squared ratio of the air speed and the Mach number, the speed relative to the local speed of sound. Thus, a simple calculation gives the temperature in terms of measured quantities. But that is another story. Grand Cayman-based airline startup BlueSky has pushed back its launch date due to the recent demise of European plane lessor Eurolot, it said this week. The company said Eurolot had been contracted to supply the first two planes for BlueSky's fleet. "Due to recent events there, culminating with the Polish government's announcement that it will liquidate Eurolot by the end of March 2015, BlueSky's Board of Directors determined that its lease agreement with Eurolot for Bombardier Q400 aircraft was no longer viable and terminated the contract," the company said in a release. BlueSky said it was now "intensifying its search for alternative aircraft." The company has already "accelerated" negotiations for new Bombardier Q400s becoming available over the next few months, it said. "While the negotiations for aircraft continues, BlueSky is working closely with the Cayman Islands Civil Aviation Authority (CAACI) and the Air Transport Licensing Authority (ATLA) to complete the regulatory process," the company said. In a statement, BlueSky Airlines' Chairman Kenny Rankin said that once the new planes were secured "we will announce our planned launch date as well as our intended date to commence reservations and ticket sales, all subject to government approvals." Rankin also said the launch delay had led to a restructuring and streamlining of the company, one which included some redundancies. "Once alternative Bombardier Q400 aircraft are contracted, we intend to restore the redundant positions and expand the organization in preparation for the launch of our scheduled airline operations," he said. "The airline remains fully operational and we look forward to completing the regulatory process and to receiving our operating certificate later in 2015."